I wanted to share about a cool experience back in May, but never got around to it until now! Thought I would share anyway. 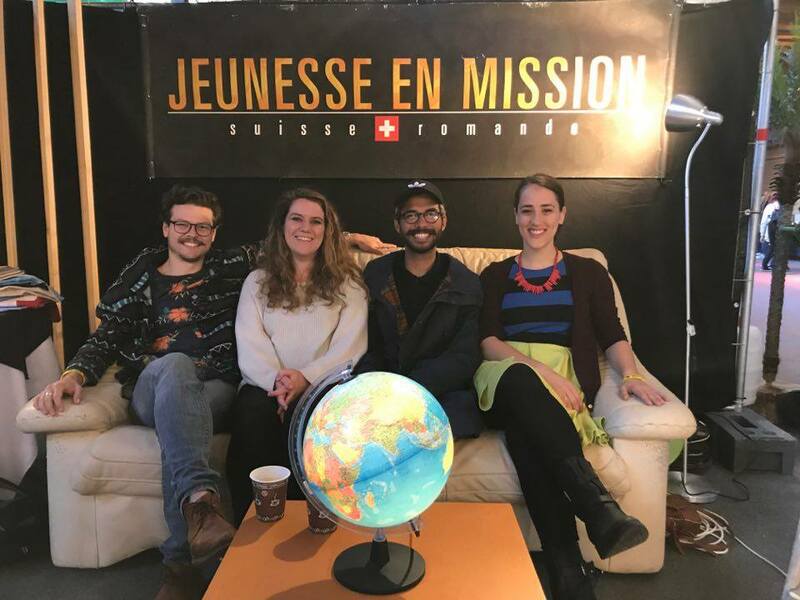 The first weekend that month a group of us from YWAM Lausanne camped out and went to the Rencontre de Jeunesse conference in Bulle to represent Jeunesse en Mission - JEM (the french name for YWAM). It was the 25th year of RJ, an annual Christian youth conference for those between 12-22 years old from the Suisse romande, France, and beyond with over 3,000 in attendance. We teamed up with others from the Yverdon and Burtigny JEM bases at the a booth to share about what JEM is locally and around the world. We met many DTS alumni, and also were able to talk and pray with those interested in DTS or JEM. Throughout the weekend worship was led by the french worship band Impact. Ben Fitzgerald and Luc Dumont both spoke focusing on the theme of freedom found in 2 Corinthians 3:17 "Now the Lord is the Spirit, and where the Spirit of the Lord is, there is freedom." Ben shared his testimony, and how we can leave our sin behind and have freedom in following Christ. It was amazing to see a crowd of young people come forward on Friday night to begin a relationship with Jesus. Luc talked about going to the next level and shared the story of Elijah and Elisha from 1 Kings 19. If we want to make a difference for God we need to be willing to give our life and work for it. It was cool to see youth from the francophone world who want to follow Jesus with their lives. Overall it was a very encouraging Holy Spirit filled (and sleep deprived) weekend!